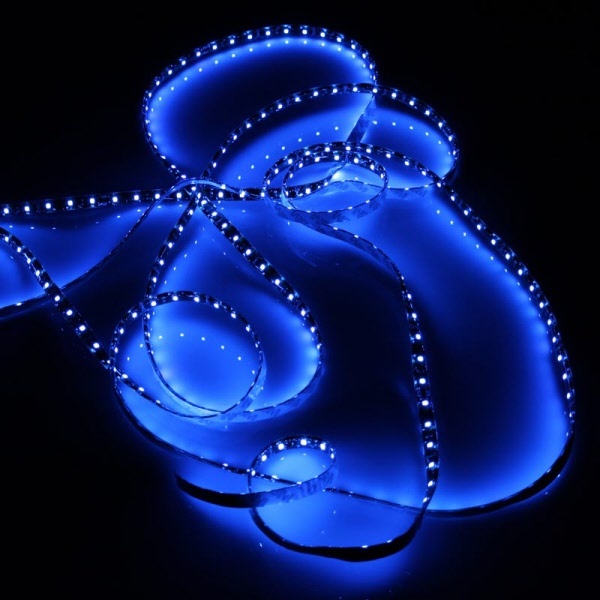 With a total of 300 Blue LED's this tape has an IP-54 rated protective resin coating and gives a bright constant effect. It can be fitted where a continuous linear light is required. This LED strip can be cut at every 50mm.